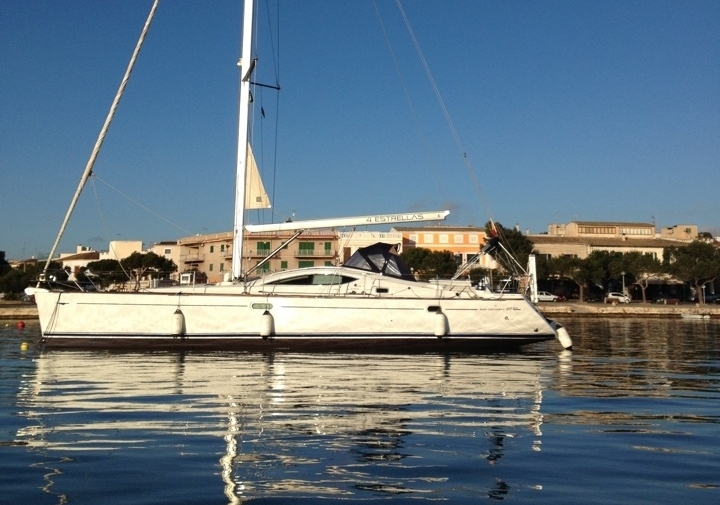 The Jeanneau 49DS is a modern hull shape created by Phillipe Briand. The four cabin/four head version includes four double berths and a salon table that converts to a double berth. The cockpit has a cockpit table, navy bimini, and dodger. Twin steering wheels provide the perfect vantage point for helm control and give easy access to the sugar-scooped stern. Designed to stand up to all that the sea can deliver, this impressive sailboat represents the harmonious balance between performance, comfort, and elegance. She features fine entry lines, a responsive and quick hull, and an unencumbered deck layout.